In this age of the e-reader, it can be hard to think about holding a real book in your hands. Nevertheless, plenty of people still like to read them and need a way to mark their places. Crochet bookmarks are a great way to save your place without hurting a book, plus can make great handcrafted gifts for friends and family. Here is a variety of fun shapes that are quick and easy to make. Flowers make one of the most popular bookmark patterns. 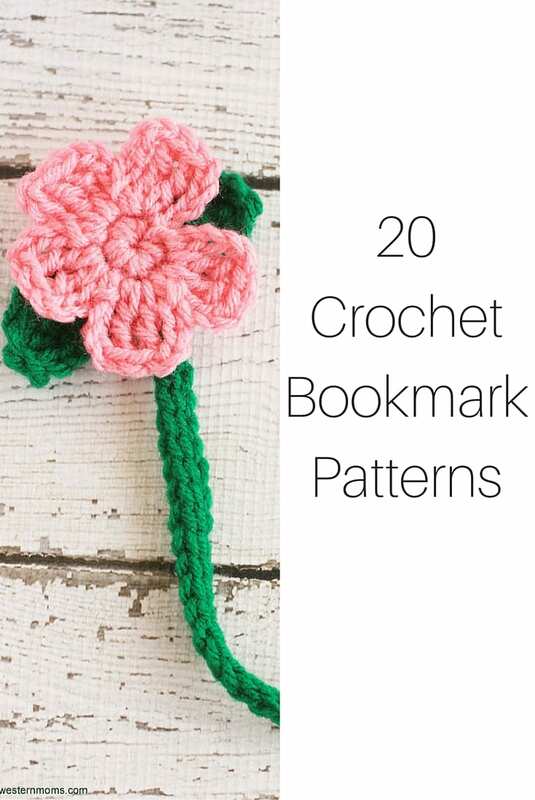 Grab an H hook and your favorite yarn and start with my own Flower Crochet Bookmark. You’re free to use any color you want! For a more ornate flower that could also double as some kind of an ornament, try the Octagonal Flower Bookmark by Misery Fae. Get creative with your color combination in the Size 10 thread that you choose. This delicate Crochet Flower Bookmark from Lacy Crochet sews together seven small flowers and then uses a crocheted chain to connect them, creating a simple, yet intricate design. Throwback to a vintage design when you make this Violet Bookmark found at Free-Crochet. Designed for beginners, it looks beautiful with the combination of purple and green surrounded by the white border. Or, get a more modern feel with this Flower Motif Bookmark from The Shtick I Do, using your favorite color combinations! Dragons! Enhance your fantasy experience by marking your place with one of these Dragon Bookmarks featured on Knit and Crochet Daily. Show off how much you love to read with a Bookworm Bookmark from Penny Hill. These are absolutely adorable, especially with the big googly eyes glued on at the end. Never forget! Use this adorable Elephant Bookmark by Jelly Designs, available as a free download on Ravelry, to never forget your place in your book! So many bookstores have feline friends in them to keep you company while reading. Now you can carry one with you everywhere you go with this Cat Bookmark from Cute and Kaboodle. Butterflies are beautiful, and so is this intricate Butterfly Bookmark from Crochet Memories. It’s perfect for those who have mastered easier crochet patterns and wish to move up to the next level. 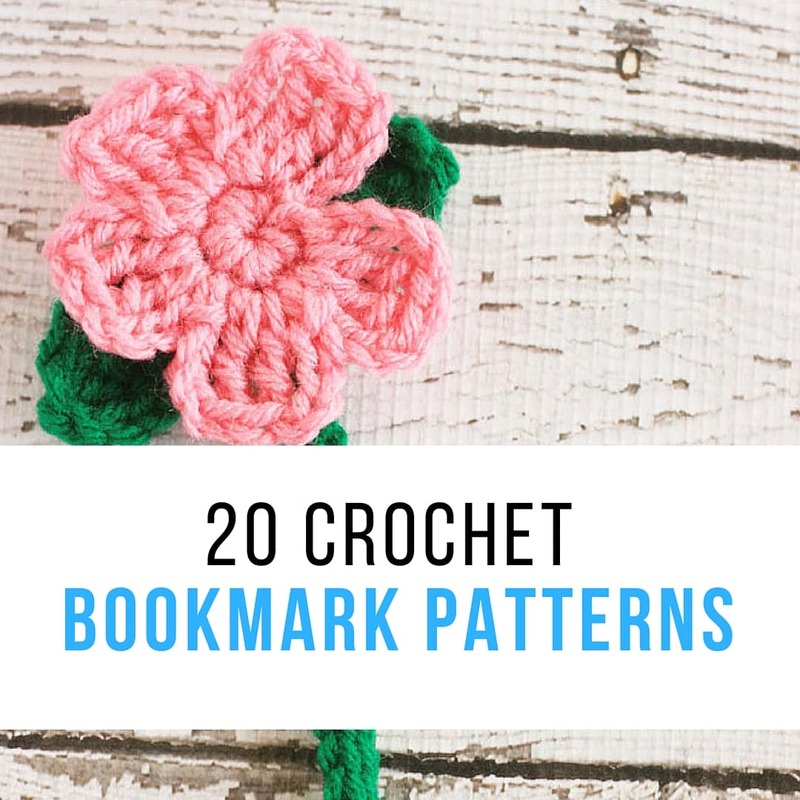 Possibilities are endless when it comes to shape ideas for crochet bookmarks. Crochet Spot has a quick and easy Star Bookmark made out of Size 10 thread in just three rounds. Have some leftover yarn? This Lavender Lace Bookmark by Scrap Yarn Crochet turns out beautifully. Harry Potter fan? Then you absolutely must have this Golden Snitch bookmark by Woodhill Design while rereading your favorite classic book. Include a Harry Potter Crochet Bookmark that resembles one of the houses’ scarves, as well! You love books, so of course, you can show this off by using a beautiful Heart Bookmark to mark your place. This one is by JPFun. Reading something spicy or getting hot in the kitchen? Then this Red Chili Bookmark by Crochet For You is perfect! Do you love granny square afghans? Take a piece of that coziness with you while reading when you make a Granny Square bookmark by Handcrafted Vintage. It’s also a great way for beginners to get some practice in this classic design. Another great way to practice this technique is with the Rectangle Granny Square bookmark by Neatly Tangled. Some people may wish to mark their places with a cute design sewn onto a large paperclip. This Apple Paperclip Bookmark from Anne Marie Shaak would make a perfect teacher gift! Which one is your favorite bookmark? thank you for your post 🙂 they are all great fun to make..